1987 was a year of new ideas, concerns and products in the automobile sector, which also affected the brand Mercedes-Benz. A group of enterprising and busy people, who identified with the tree-pointed star, noticed that some associations of Mercedes-Benz owners were created in different cities and regions of Europe and that they organised as clubs of vintage and classic cars. This group of people, who lived in Catalonia and represented the oldest Mercedes-Benz dealers and agents, made up their minds and applied in Stuttgart for the creation of such a club. This is how Mercedes-Benz Club in Catalonia was born in 1987. For the first nine years, the Club had an apparently inactive life because it could not develop all the activities it was intended to do, as it is often the case at the beginning of associations. On 28 April 1996, some people related to the brand gathered together and created a working commission to relaunch the Club. Among these people, there were Enric Valletbó, Eliseo Morera, Francesc Victoriano, Carlos Beltrán and Juan Vázquez. To start with, they updated the articles of the association, which were passed by an extraordinary meeting, and a board of directors was appointed. The first important decision was to make the club known. Therefore, in November 1997, the Club asks the members of Auto Retro Club in Barcelona to join them. Besides, the Club decides to establish its headquarters in Barcelona, in the following address: Vía Augusta 182, floor A (ANTIC CAR – AUTOMOBILE MUSEUM). The success is obvious, as more than 70 members join us. On 26 November, a group of enthusiastic friends dazzled by the three-pointed star plans its first activity, a driving outing on the outskirts of Barcelona. From 1997 onwards, the Club gradually increases its activities and members all over Spain. 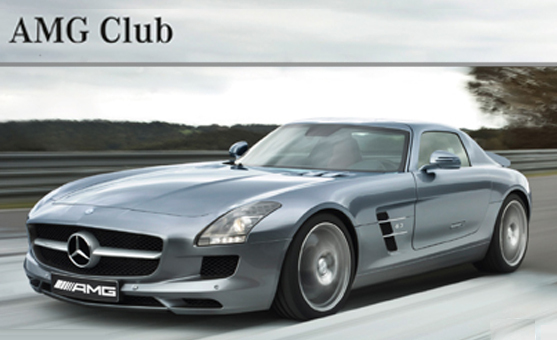 That is why it changed its name to the present one: "MERCEDES-BENZ CLUB ESPAÑA". Following the Mercedes-Benz guidelines of a single club per country, the Club admitted and took over different clubs and groups of fans spread all over Spain, whose motivation was also Mercedes-Benz cars. The national dimension came true in the active participation in Retromóvil Madrid in 2001 and with the appointment of Mr. D. Carlos Espinosa de los Monteros as President of Honor. The Club belongs to the association Mercedes-Benz Classic Car Club International GmbH, whose headquarters are located in Stuttgart, at the Mercedes-Benz Museum. This association is in charge of gathering and managing all Mercedes-Benz Clubs around the world. El día 17 de Junio de 2010 en el Local Social, se celebro Asamblea General Extraordinaria. El objeto de la Asamblea, fue la renovación de La Junta Directiva del Club ya que su mandato de cinco años finalizaba el 30 de Junio. Por unanimidad de los presentes y representados, se tomo el acuerdo a propuesta de Juan Vazquez de nombrar Consejeros del Club a los siguientes Socios con la designación de cargos que se indica. Los nombrados que aceptaron los cargos , lo han sido según determinan los Estatutos Sociales por un plazo de 5 años, es decir hasta junio de 2015. On click the link below you can view or download the club's statutes. To resolve any doubt, consult with the club.